Happy new year to all our fury friends and their companions. 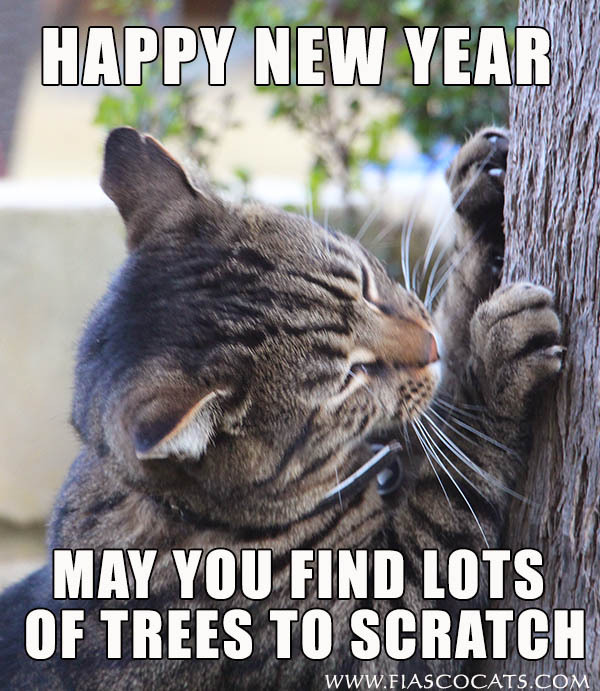 May you have a wonderful 2015! Cassie the Cat Found Hiding in the Cupboard. 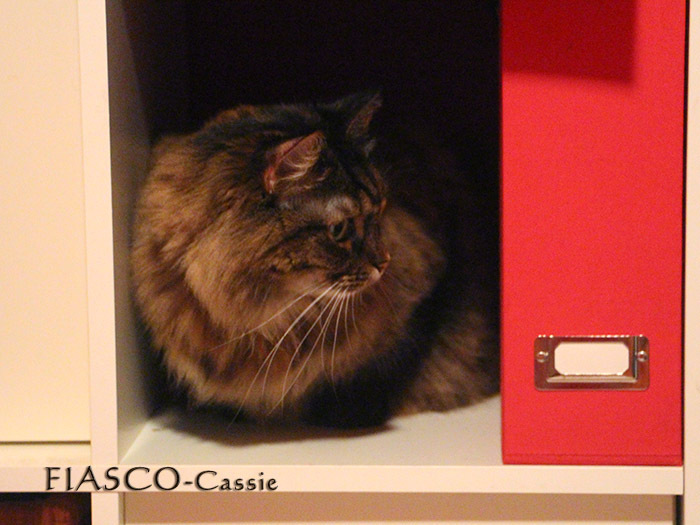 Cassie the cat was found in the cupboard in this cute picture. Cats videos on YouTube by Fiasco. Well I thought this might be a good time to introduce myself. 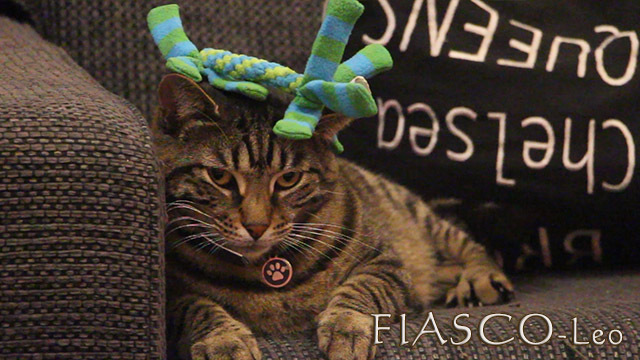 I’m Fiasco and in August 2013 I decided to upload a video to YouTube. I wasn’t sure of the type of content that I would share but decided to start with a bird video and then cat videos of Cassie and Leo on YouTube. The third video that I put up became quickly popular and I’ve been post videos of my cats ever since. I also from time to time post video’s of other animals. This video shows some of the highlights for 2014. Enjoy. Here is the promised video of Cassie and Leo opening their Christmas presents! Well Christmas has come and gone and with the new year fast approaching I decided it was time for Cassie and Leo to have a blog. It’s taking a little while to set up and I’m not quite finished yet but it’ll be good when it’s finished :). This is a photo of Leo just after he received his Christmas present. I’m not sure he was that thrilled with it. I’ll post the video tomorrow.